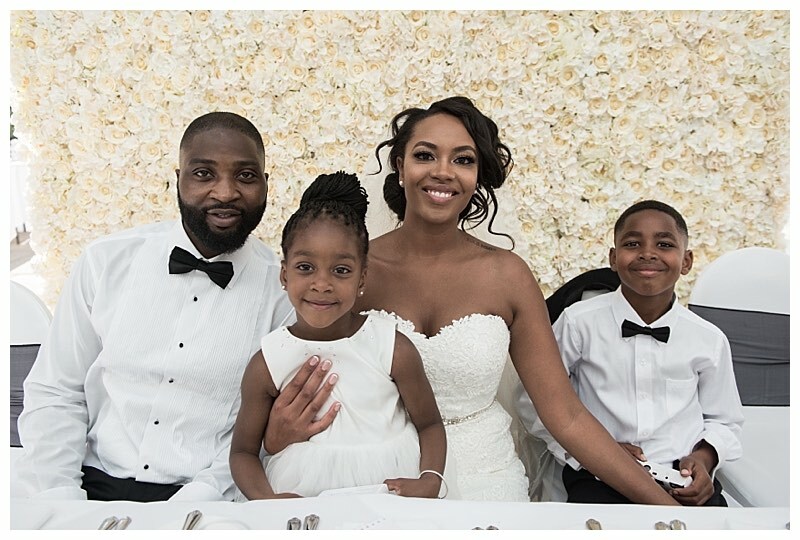 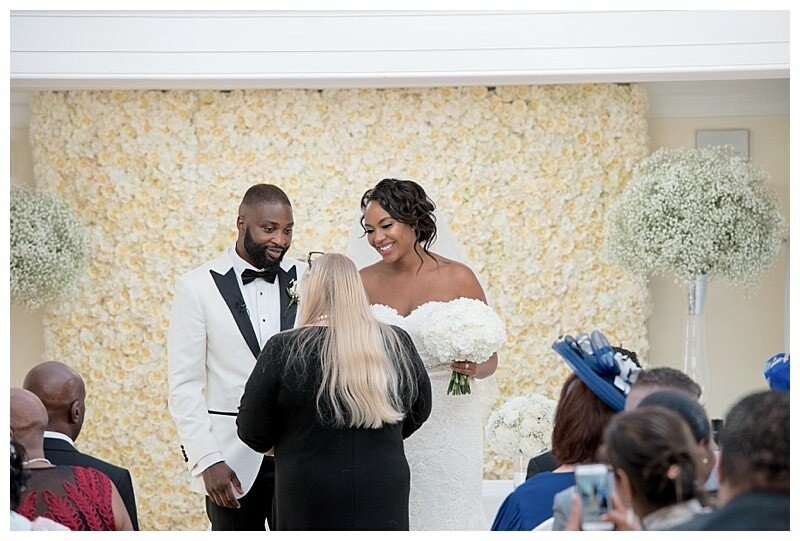 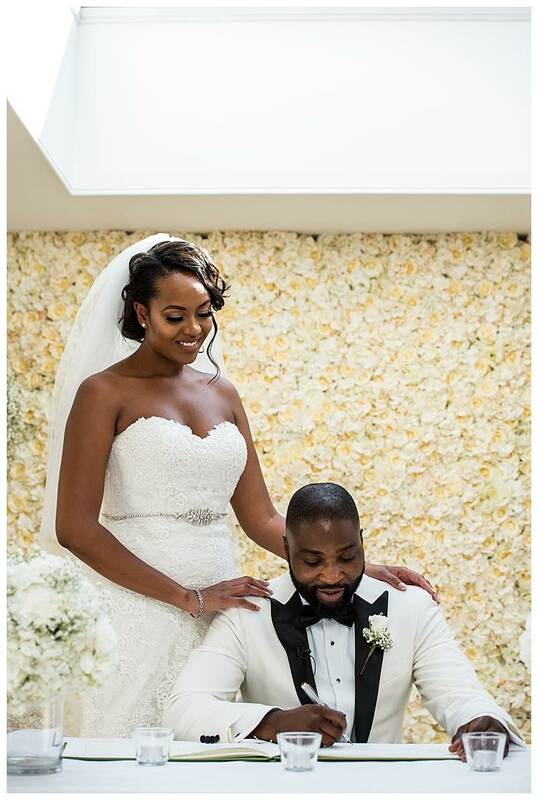 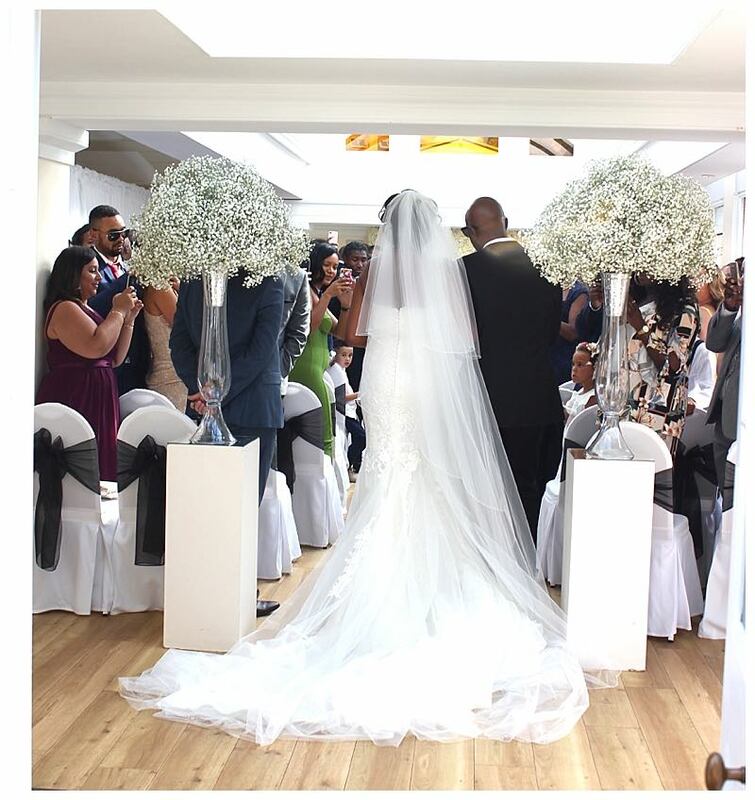 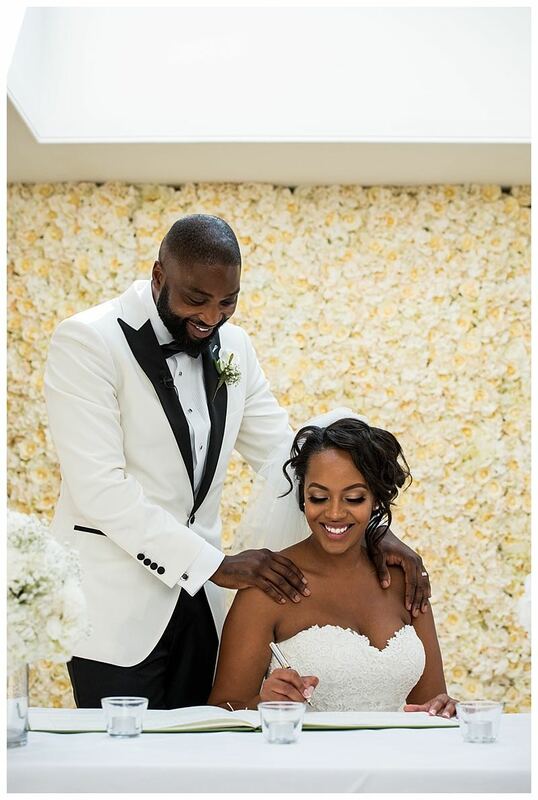 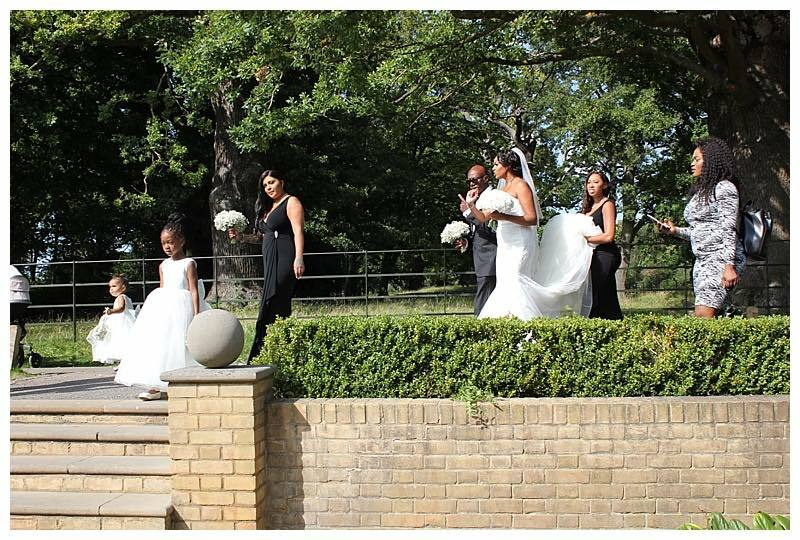 Whitney and Lateef opted for a really pure look with all white wedding flowers, to dress their beautiful venue – the amazingly positioned Pembroke Lodge, at the top of Richmond Hill in Surrey. 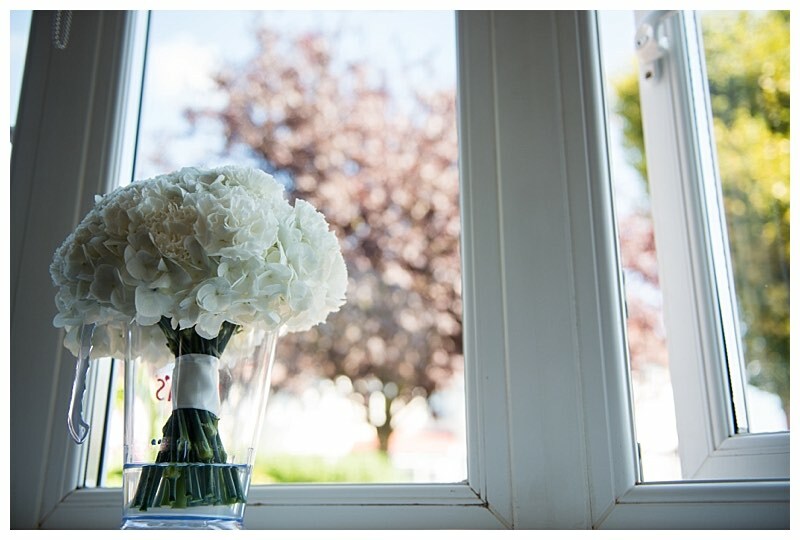 What amazing flowers and what amazing view… This wedding had it all! 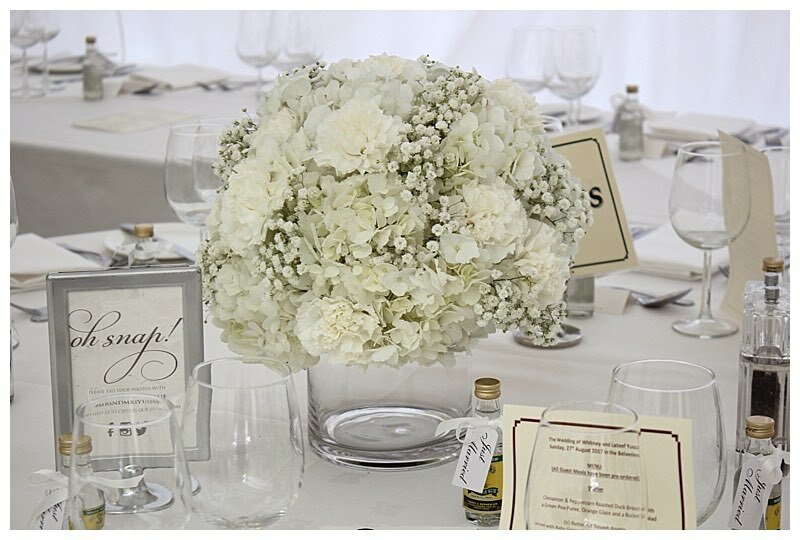 Whitney was searching for a really pure, all-white look, uncluttered and simple but elegant and she stayed very very close to this ‘pure white wedding flowers’ guiding principle. 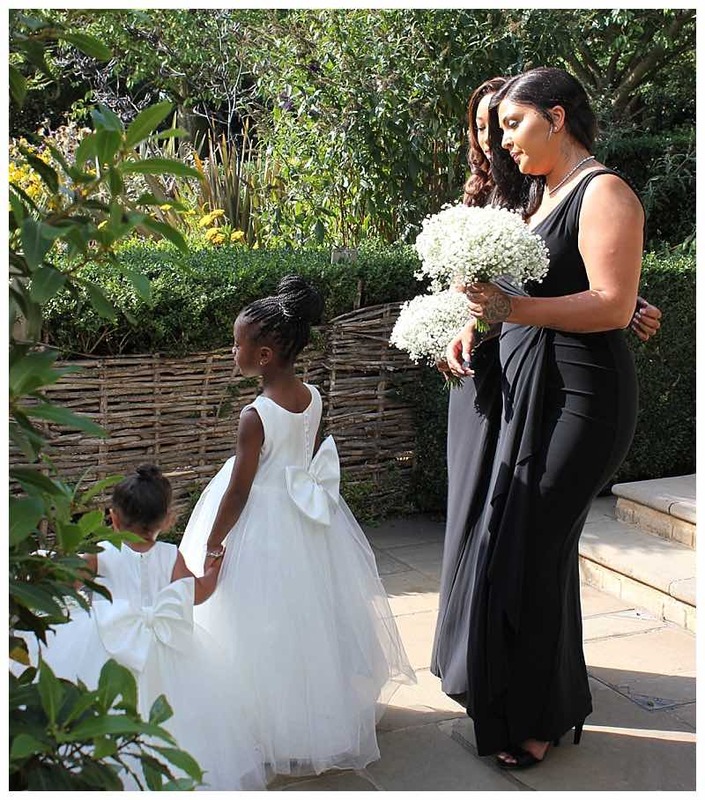 She opted for a stunning oversized bouquet of white hydrangeas with carnations and lacey gypsophila, and for the bridesmaids, she chose al-white all-gypsophila bouquets. 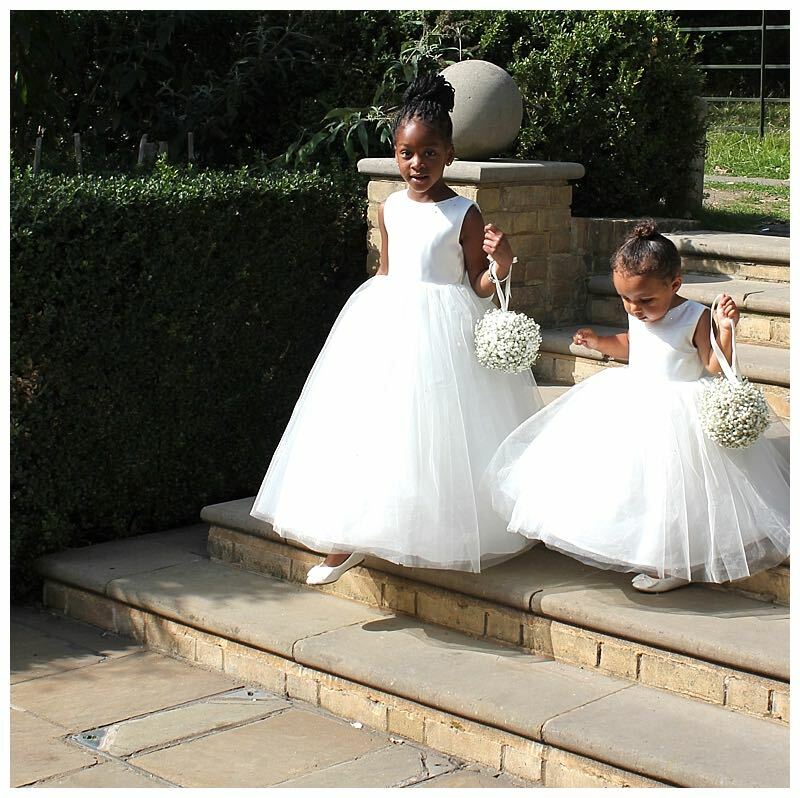 Her cute flower girls carried pretty pomanders of white gypsophila. 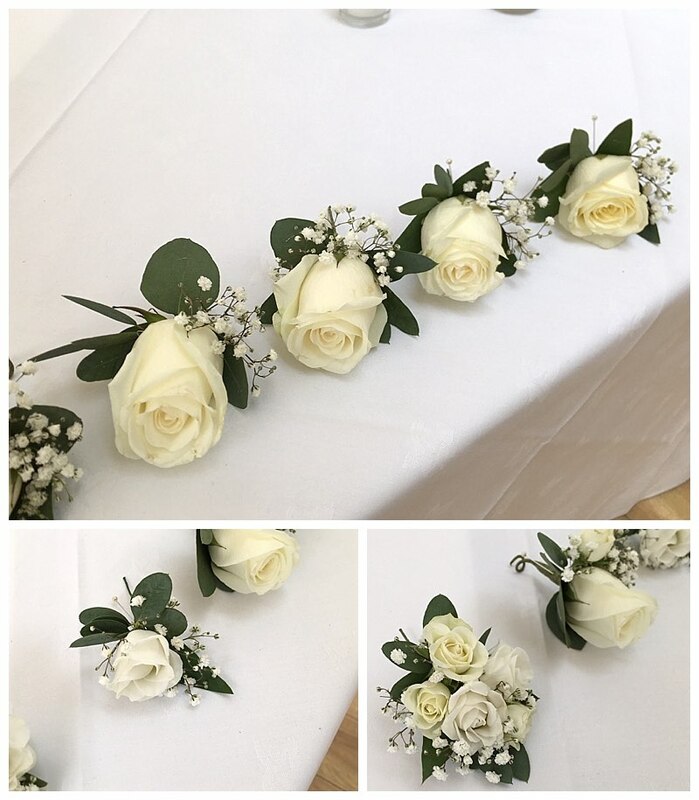 Lateef’s and his fellow men wore buttonholes of ivory Avalanche roses and gypsophila, and the page boys had daintier lisianthus and gypsophila mini-buttonholes. 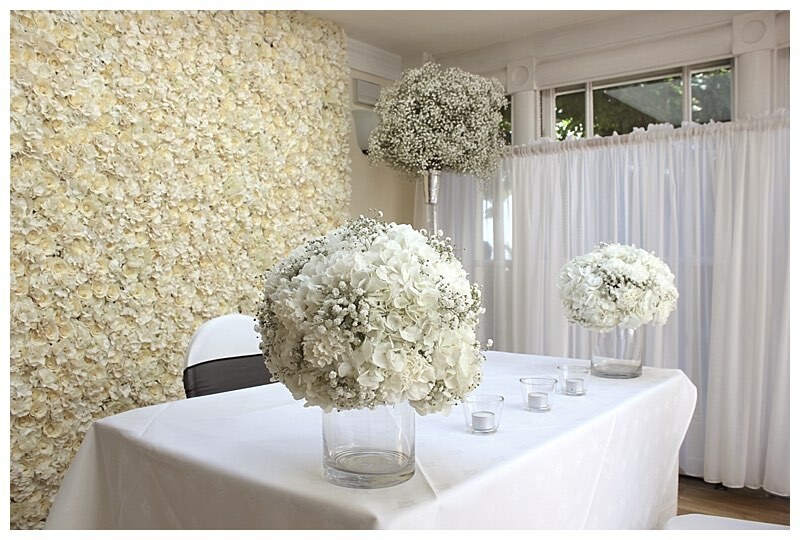 The simple but elegant all-white wedding flowers theme really came into its own when it came to venue flowers. 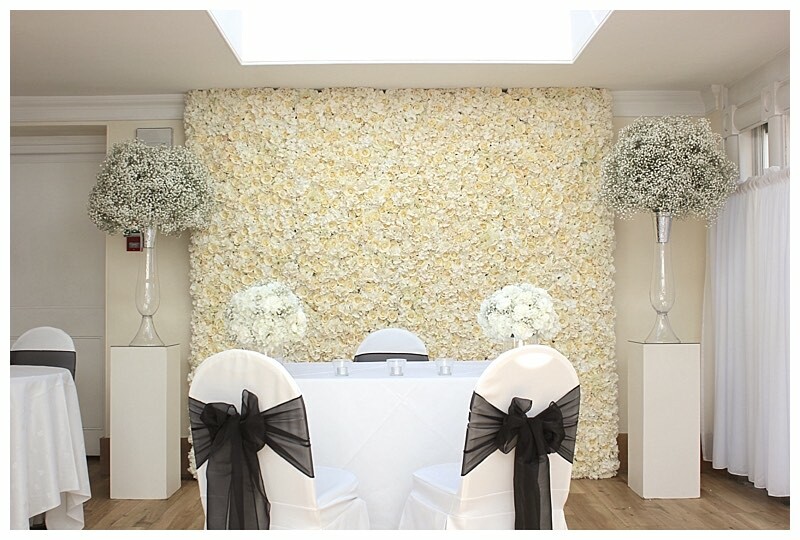 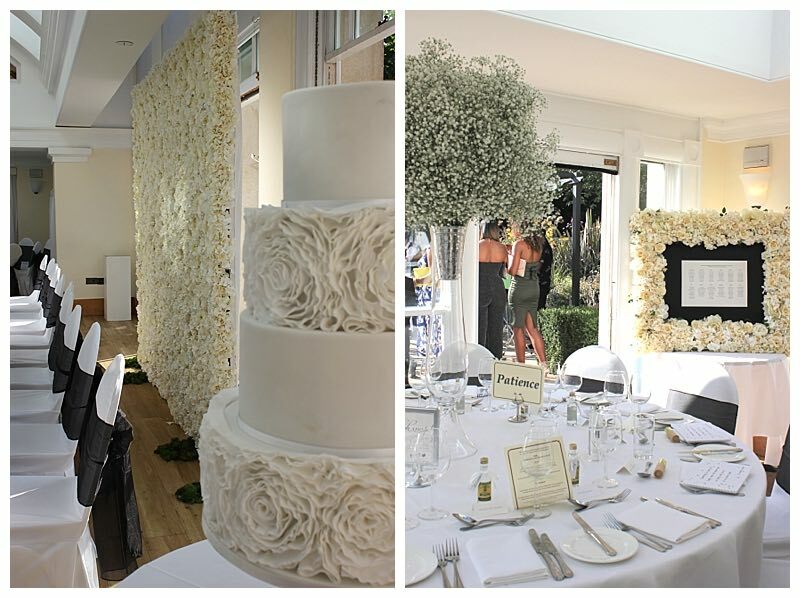 Whitney fell in love with our impressive wedding flowerwall and used this as a backdrop to the wedding ceremony and then later on, as a backdrop for the top table. 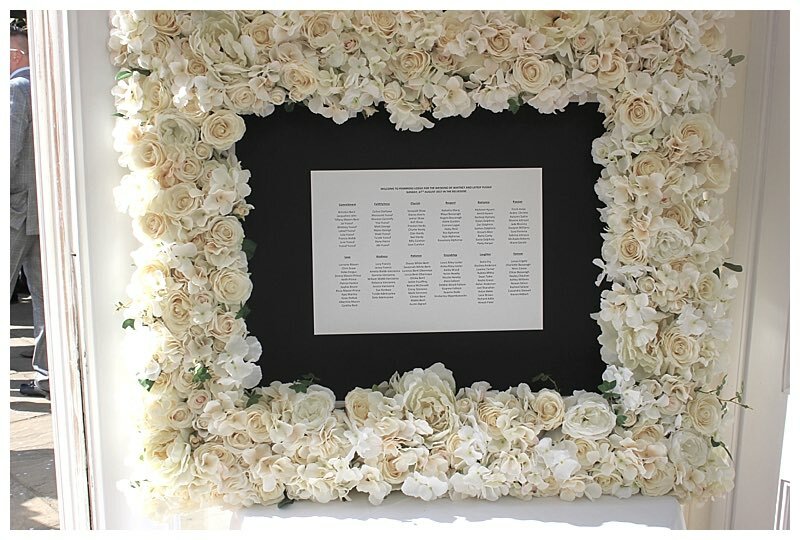 The flowerwall and the start of the wedding aisle, were flanked by two dreamy puff-ball displays of gypsophila, which looked really elegant, and the ceremony table was dressed with low vases of hydrangea, carnations and gypsophila. 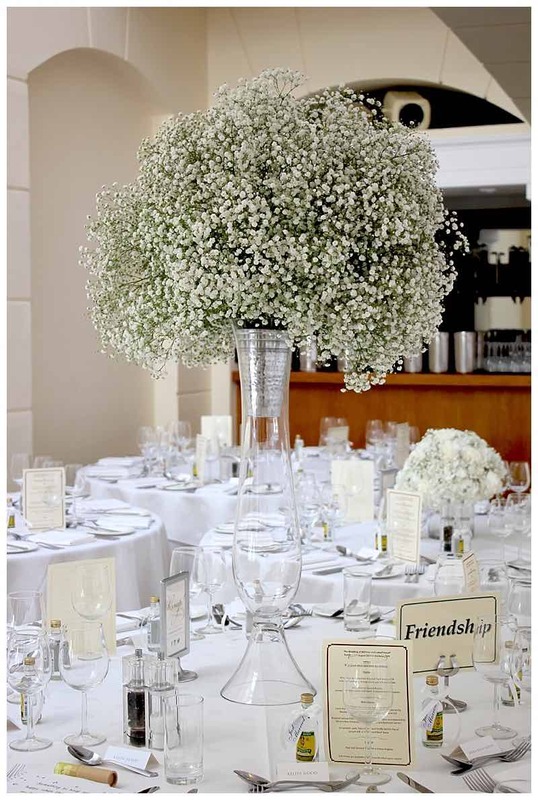 All of the low and tall centrepieces, were later on reused as table centrepieces. 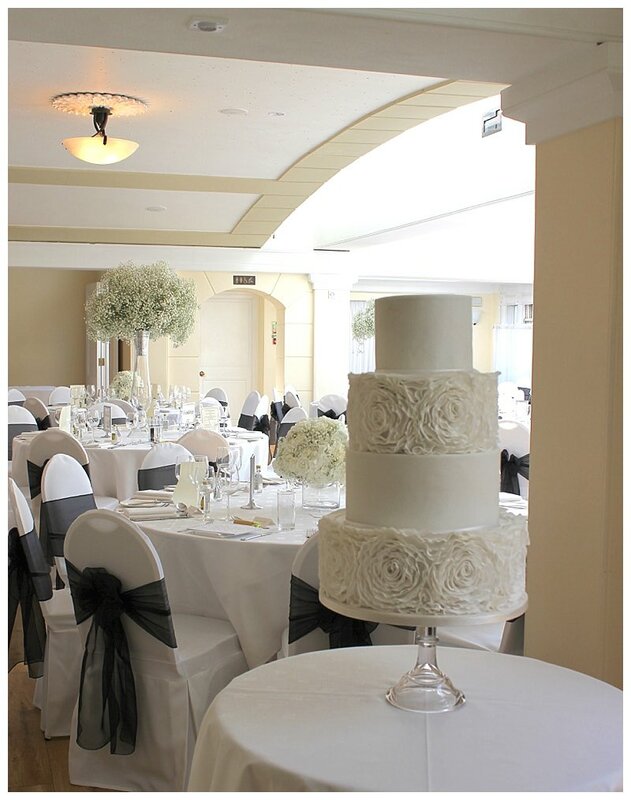 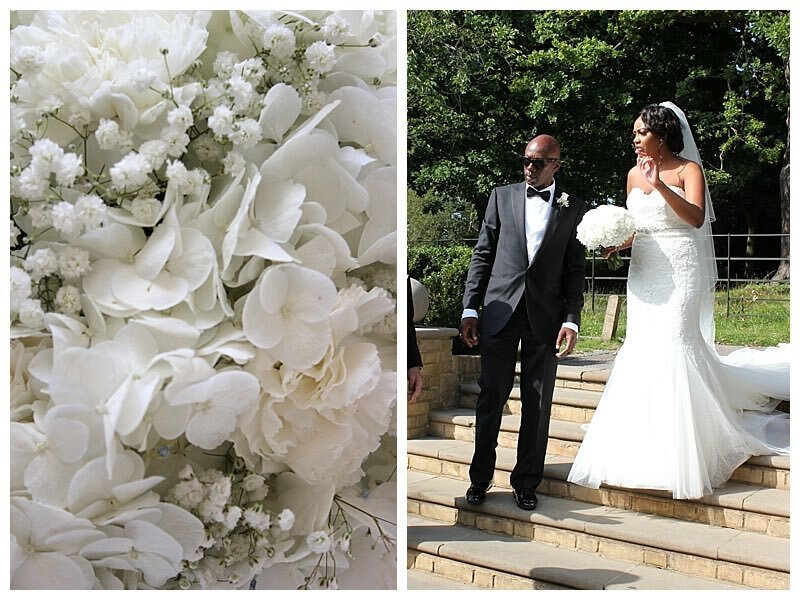 The single-minded pure all-white wedding flowers were a brilliant contrast to Whitney’s statement black chair sashes, bringing a softer look to the theme. 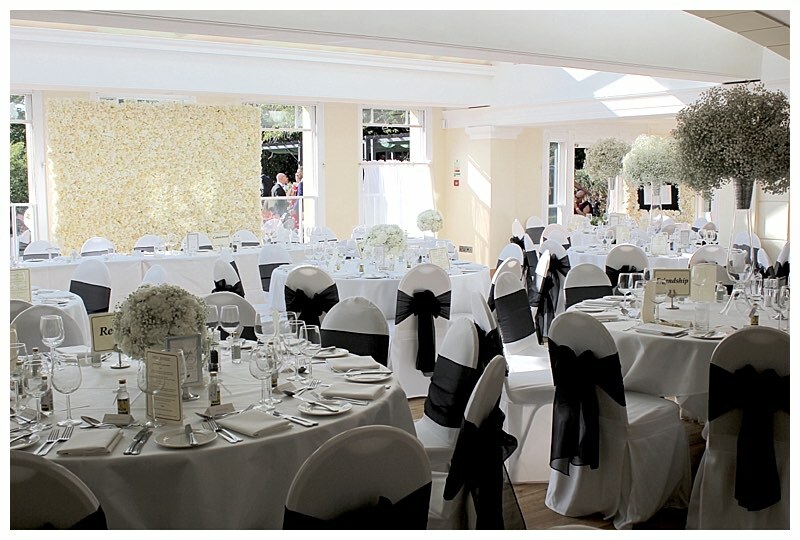 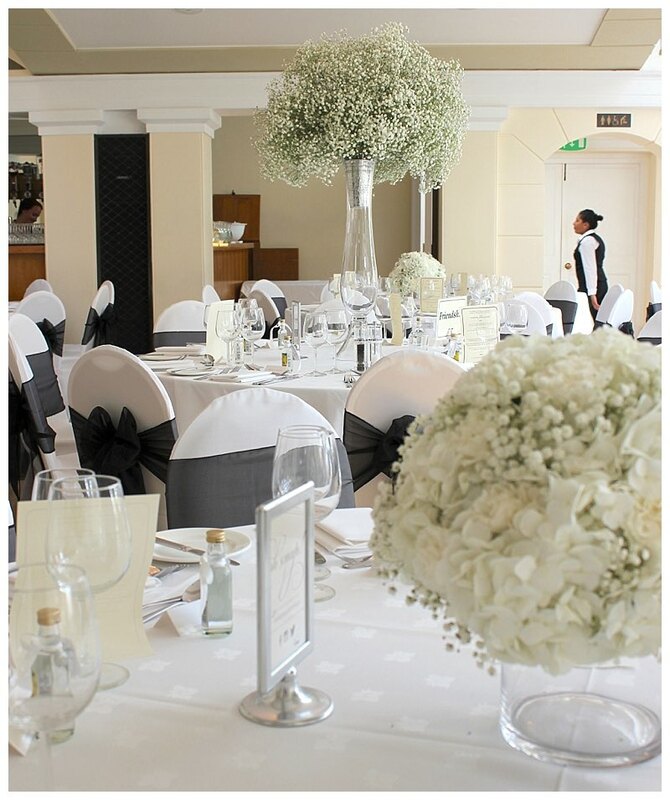 We are recommended florists at Pembroke Lodge and have arranged many beautiful colourful or white wedding flowers at this beautiful Surrey Hills venue. 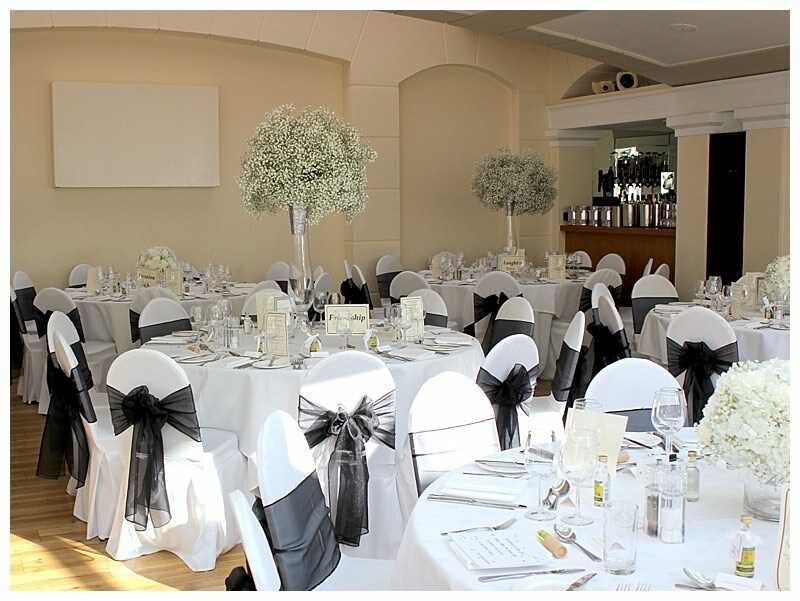 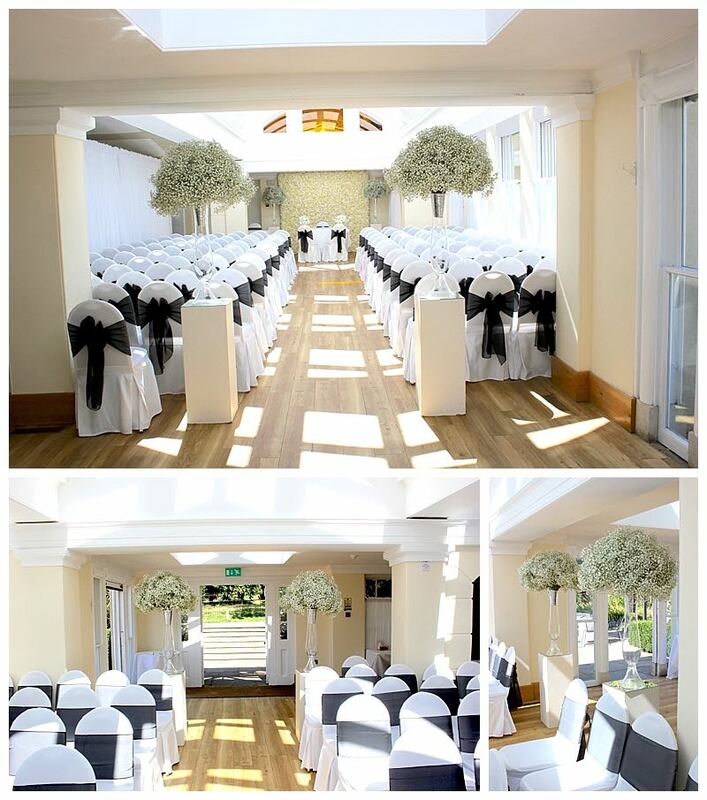 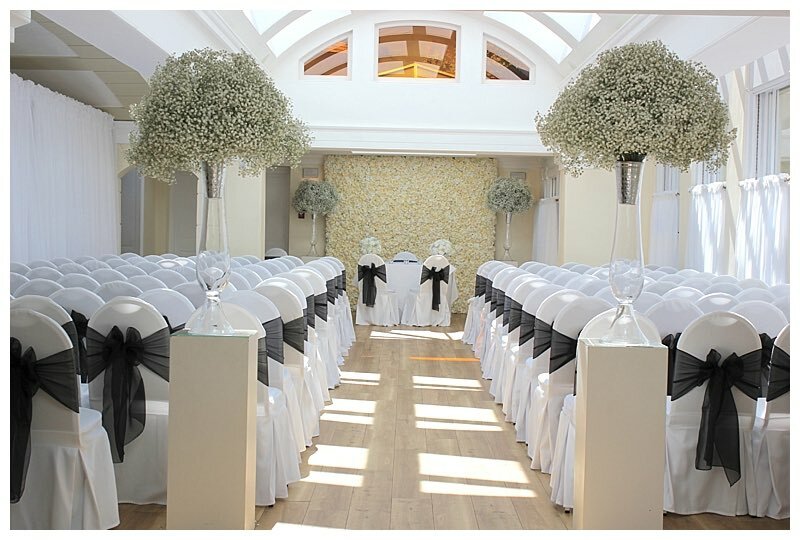 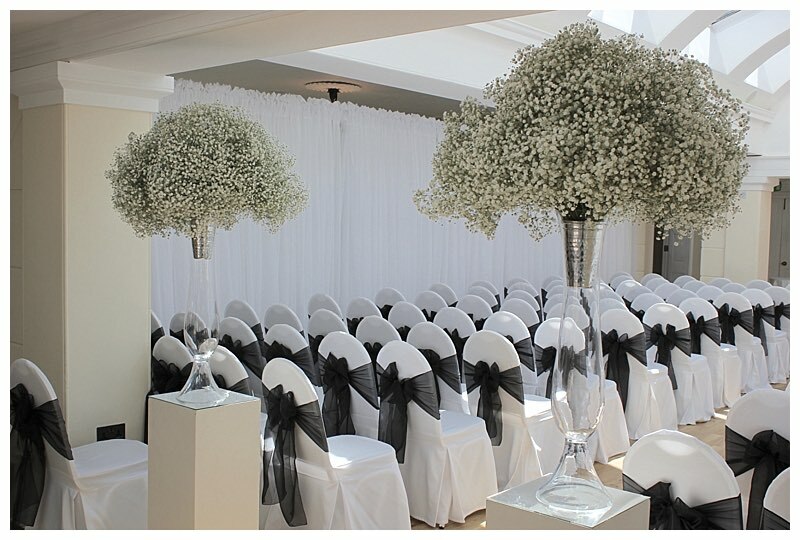 If you are planning your wedding at Pembroke Lodge please check out our other featured wedding flowers at Pembroke Lodge for ideas and inspiration.